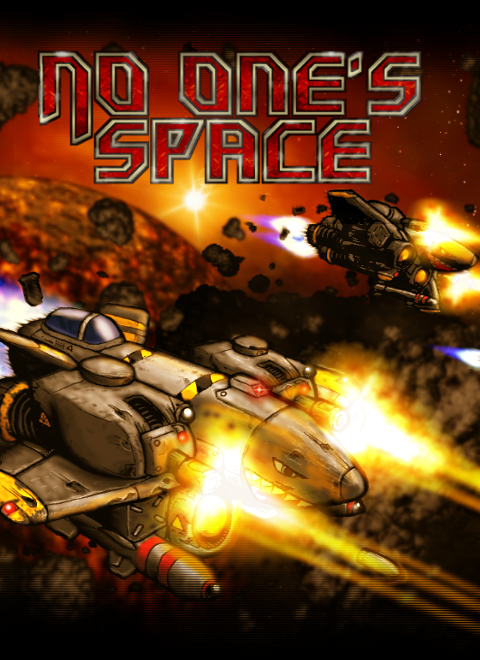 No One's Space (NOS) is a single-player Retro 2D-Science-Fiction-Shooter with modern physics. It was created as a cross-breed of the classic games Wing Commander I and Star Control II. In NOS, the player experiences a cosmic conflict between four powerful races, taking the role of different heroes. In 54 challenging missions, reaching from manageable duels to large combats, the player controls a variety of vessels and has to go all out to master them all and improve his skills. We are planning to successively release different game modes at steam. The Story and Arcade Mode will be available for the early access release. The main, and therefore first mode, will be the story mode. It consists of a tutorial and six campaigns with nine missions each, telling the story of four different races getting into a cosmic conflict. The third and last one will be the mercenary mode, which will be available as DLC. In this rogue-like mode, the player takes the role of a rookie mercenary and can choose between different, procedurally generated missions. During these, the player has a chance of recovering wrecks of ships and weapons, which he then can repair and use to improve his equipment or scrap to sell the resources. The core of the small indie-game forge Turtle-Games GbR consists of 2 German game developers with academic background. They're working, together with some freelancers, decentralized on their first shared project so far: No One's Space. Turtle-Games was newly founded in January 2016, and grew out of a long time hobby team. Please support us and vote for No One's Space! thanks for asking. We like the game SPAZ, but the main focus of No One's Space is different. Jackie Chan once said he won't be the next Bruce Lee. He will be the first Jackie Chan. NOS started as a mix between Star Control II and the classic Wing Commander I and developed a lot from there. We are planing to successively release different game modes at steam. The first one will be the story mode, with six campaigns including four races. The second mode will be an arcade mode with instant action and not much to read. Third and last one will be a mercenary mode, where you can earn new ships and weapons by repairing wrecks and doing different jobs. - You can collide with asteroids, ships, stations, and so on. - At NOS you're steering the ship directly and don't set target points with the mouse. - You don't collect loot. - You don't manage your ship parts besides weapons, and that only in the mercenary mode. so how SPAZ like is this? Hey folks, we'd like to announce a new Update! Lunar Soil is a 3rd person moon-based management game about you, your crew and your corporate sponsorship. A realistic space opera for PC. Explore the vast emptiness of space. Take command of your ships, create your empire.